Cerebrovascular disease and stroke (the most well-known type of cerebrovascular disease) is one of the main causes of death in Korea. Its incidence increases with sudden cold weather and in the winter. 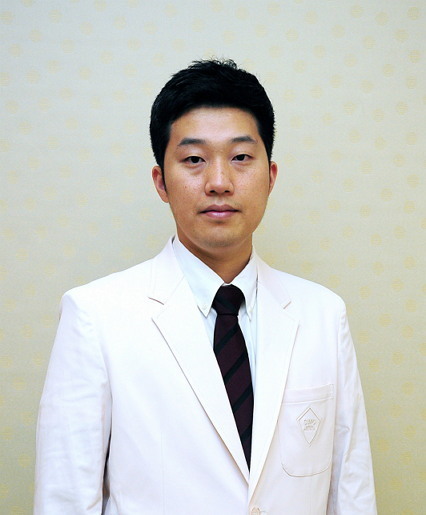 The incidence of stroke is increasing in Korea, whereas that of Western countries and Japan is decreasing significantly. 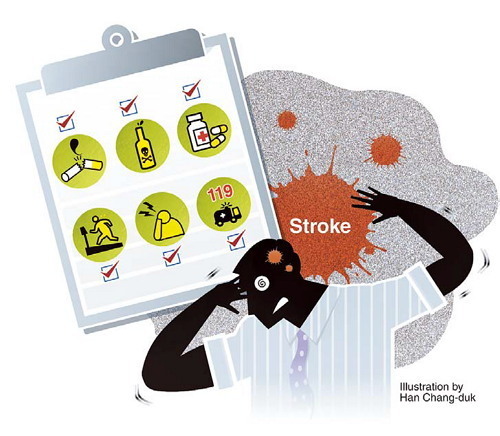 The reason for this is that Koreans have many risk factors for stroke that are often left unaddressed. To decrease the risk of stroke, prevention is more important than medical or surgical treatment. Stroke occurs suddenly, but it is not a disease that comes out of the blue. The disease progresses for many years in the blood vessels of the brain, which in the end, leads to blockage or rupture of the blood vessels. Factors that can damage the blood vessels of the brain are known as risk factors. Early identification of these risk factors can help prevent stroke. These include older age, high blood pressure, diabetes, cardiovascular disease, smoking and heavy alcohol use. Other risk factors include hyperlipidemia, obesity and sedentary lifestyle. Of these, high blood pressure is the most dangerous of all, which can lead to blockage or rupture of blood vessels in the brain. Modifying blood pressure can significantly reduce this risk. To prevent stroke, it is important to avoid foods that are high in cholesterol, and to do regular exercise. Smoking should absolutely be avoided. Diabetes and cardiovascular disease are also important risk factors. Therefore, you should see a doctor regularly to identify such risk factors and have these addressed to prevent stroke. Of all stroke patients, 20-40 percent develop temporary symptoms before the development of stroke. This is known as transient ischemic attack, and can include all symptoms that may arise from stroke. The symptoms arise due to temporary stopping of blood flow to the cerebral arteries, causing brain dysfunction, which resolves as soon as the blood supply returns. Symptoms usually regress within 30 minutes, but can last hours. TIA does not last for more than a day. Patients who have had TIA have a 10 times higher risk of developing stroke compared to those who have never have had TIA. The first year after having TIA is the most dangerous period, and must be managed carefully. Failure to treat a patient effectively during this period can lead to devastating results. TIA is a symptom that reflects serious underlying disease of the cerebral arteries, so must be treated just like stroke. You should see a specialist immediately to prevent its recurrence. If TIA has occurred due to cerebrovascular disease, you need to start treatment to prevent its progression to stroke. Treatment includes medication for atherosclerosis or cardiovascular disease, but it should also focus on modifying risk factors. Smokers should stop smoking immediately, patients with high blood pressure must have blood pressure modified strictly, and diabetic patients must maintain healthy blood sugar levels. Medications can be used together with dietary and exercise modifications. You should see a doctor regularly to have these risk factors and your medication regime checked. Previously, hemorrhaging stroke (bleeding into the brain from ruptured blood vessels) was more common, but ischemic stroke (caused by blocked cerebral vessels) has recently become more common. You should go to the emergency department of a large hospital with stroke specialists if you develop any of the above symptoms. This is extremely important to minimize other problems with the body caused by stroke. Families of those who have stroke risk factors should also be aware of this. The patient should not be left at home to rest if these symptoms develop and must go to a hospital within three hours of developing these symptoms. The most important point in treating stroke is to identify risk factors early to prevent stroke, and to seek medical attention immediately if stroke symptoms develop in order to receive appropriate treatment. 1. Call 119 immediately for transport to a large hospital emergency department if stroke symptoms develop. 2. The patient may have difficulty swallowing, so do not give food or medication to the patient. This can cause aspiration pneumonia, one of the most serious complications of stroke. 3. Secure the airway while laying down the patient by placing folded towels or pillows under the shoulder, and pushing the head back. Not pushing the head back can lead to blockage of the airways. 4. Remove any vomit or dentures from the mouth.